Baida Hercus of the Free Tree Society on making a positive impact on the environment one plant at a time. 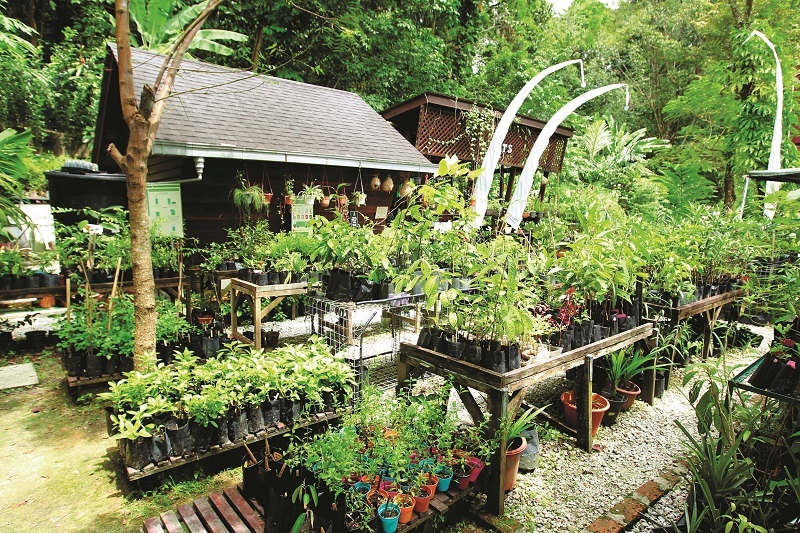 The Free Tree Society’s (FTS) nursery is situated in a quiet part of Jalan Limau Purut in Bangsar. A wide variety of plants cover the quaint and unassuming plot, creating a green lung within the residential area. Founded on May 21, 2012, the non-profit organisation’s aim is an uncomplicated one — to make the planet a better, greener place one plant at a time. Members and volunteers plant the seeds, then wait patiently for them to sprout before giving them to the public. The objective is for like-minded “city greenies” to come together for the love of plants, encouraging other city dwellers to grow and nurture seedlings in a sustainable and environmentally conscious manner. In doing so, the society also hopes to create more green pockets in the suburbs and city centre as well as educate people on the correct way to plant trees. For founder Baida Hercus, the calling to set up this organisation was a long time coming. Her grandfather was a farmer back in Australia and she has fond memories of growing up surrounded by lush greenery. 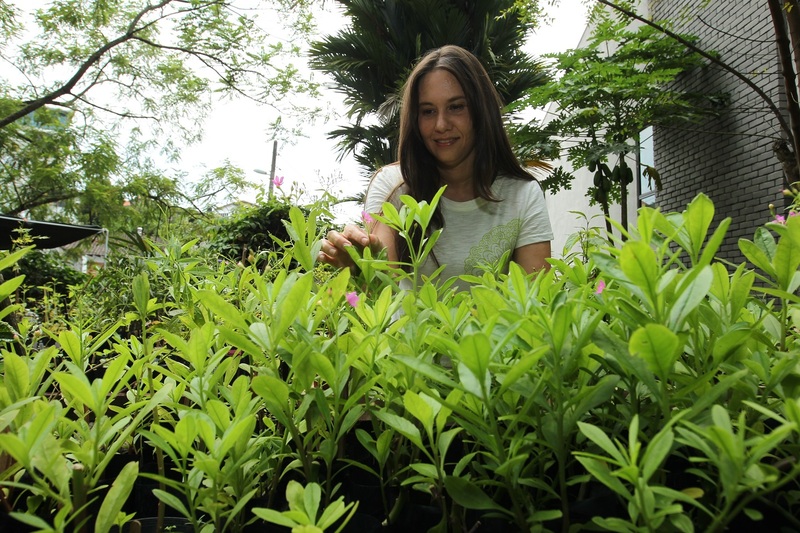 Even when the ardent environmentalist was living in a city apartment when she first moved to Kuala Lumpur, she nurtured plants on her small balcony. Bored of the daily grind, Hercus found herself wanting to embark on a project that would benefit the environment. One day, she was casually discussing her dream with a fellow mother at her child’s school, who happened to love the idea. The rest is history. 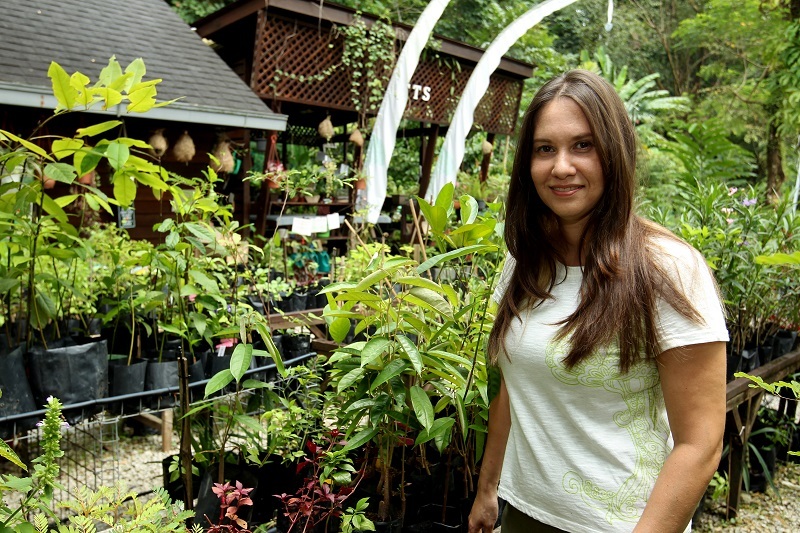 Today, she lives with her family on an off-the-grid sustainable farm in Janda Baik, which also operates as a host nursery for FTS from time to time. “You can do a lot in a small area,” Hercus says, gesturing to the plants and trees that surround us. “Some of our volunteer-owned host nurseries are in apartments.” She does not believe that only some people are blessed with green fingers. “It’s all about technique,” she says as she gives me a quick demo on potting plant cuttings. The fruiting trees at the nursery include banana, pink guava, passion fruit, belimbing buluh, moringa and grapes. Many other flowering plants and vegetables cover the rest of the land that was sponsored by property developer BRDB Developments Sdn Bhd in September 2013. The nursery also has a community herb garden, where her neighbours can help themselves to curry leaf, limau purut and lemongrass, just to name a few. It is difficult to imagine that the nursery was once an empty space. With a lot of hard work and supportive volunteers, the nursery now boasts a pond, a composter to break down green waste, an irrigation system and a pop-up store that stocks a small range of garden equipment as well as fertilisers and pesticides. “Gardening is hard, sweaty work. It also tends to have a bad reputation. People think if you plant a tree, you will attract Aedes mosquitoes and snakes,” Hercus exclaims, desperate to bust the myth. “We love wildlife. If we see a snake, grasshopper or snail, we will catch it and release it in the jungle. We try not to kill anything here. “We want to encourage people to form a bond with nature. If you don’t understand plants and you don’t like insects, how are we to save our world?” asks Hercus, who worries about the population decline of multiple species. She believes that education and awareness are the best way forward. The Green Academy that operates at the nursery promotes this through classes for adults and children. A fee covers materials provided during these classes. Infographic boards found throughout the nursery allow participants to learn while they explore. The nursery was recently selected as a social impact experience by Airbnb, with the fee going to FTS. To create awareness, giveaway days coincide with environmental holidays but Hercus tells us that schools, shelter homes, orphanages and community gardens can request plants from FTS at any time. The organisation gives out 7,000 plants a year — 1,000 more than the original goal set when the group of like-minded women decided to establish a dedicated plant society. As a volunteer-led and run organisation, the people form its backbone and Hercus recollects some committed volunteers, one of whom rides his motorcycle all the way from Cheras to deliver plant cuttings to the nursery. It is possible to pick up plants from the nursery too, depending on availability. I notice that the nursery is chock-full of plants — chilli, tomato, mulberry, nangka, ginseng Jawa in the rooting stage — and Hercus explains that almost everything was being nurtured in preparation for FTS’s Earth Day event — its biggest occasion of the year — in collaboration with The Body Shop. Hercus is happy to announce that the number of plants has increased to 2,200 this year from 1,000 when FTS started three years ago. Hercus acknowledges that the time is ripe for FTS to grow. In response to the demand for an FTS presence all over Malaysia, Hercus believes good things must be shared. The organisation is currently in the midst of restructuring to allow others to replicate its work in other parts of the country. On the reason behind the initiative, Hercus says, “Climate change is apparent; we can already feel the effects. It is time we did something and saved the planet and ourselves.” To this end, Hercus and her army of green warriors will repeat the cycle of nurturing plants and giving them away, in the hope of creating a greener future for all. Perhaps, the best things in life are indeed free. This article first appeared on Apr 23. 2018 in The Edge Malaysia.